For the second straight year Super7 will be heading to New York City to participate in the Five Points Festival and releasing a convention exclusive colorway of Joshua Herbolsheimer’s disgustingly awesome, Fungus Wolf! The Earth Wolf has decayed…and Fungus Wolf is born! 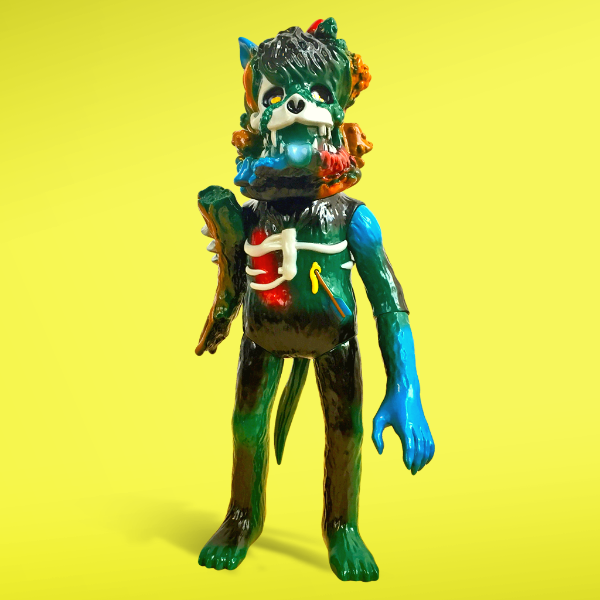 The Five Points Festival 2018 Exclusive Crusty Fungus Wolf Vinyl Figure by Joshua Herbolsheimer appears to be cast in black soft Japanese vinyl with orange, green, blue, red, white and yellow sprays. Collectors can purchase this awesome new colorway at Super7’s FPF booth #227 this weekend in Brooklyn.